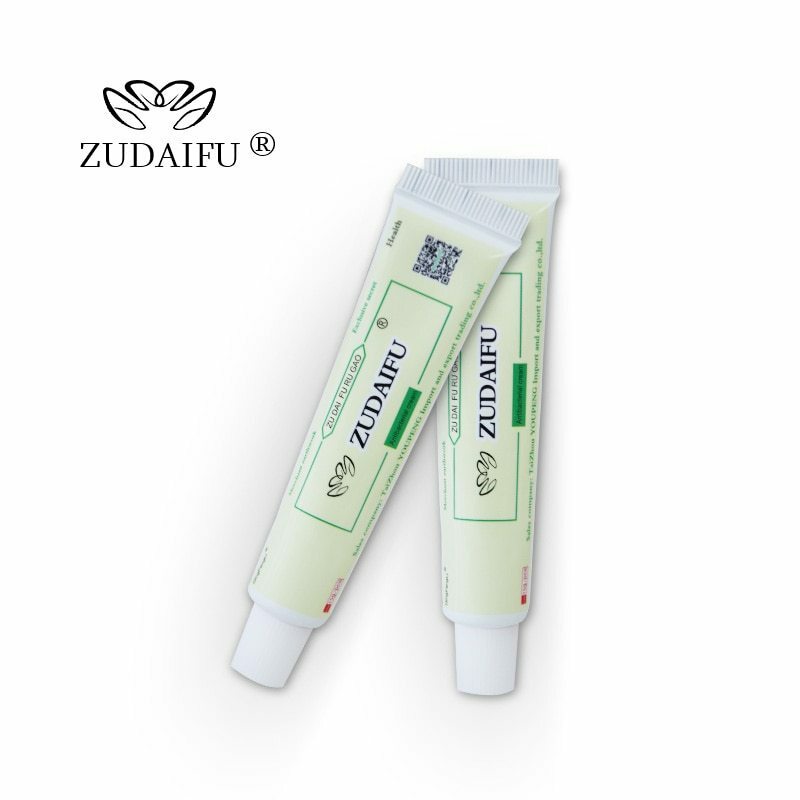 ZUDAIFU Cream Feature: Main functions: This product has obvious function of inhibition, cleaning. disinfection for all kinds of fungal infection caused by various tinea disease (such as psoriasis, Capitis, tinea, scabies (Jie) ringworm, tinea, beriberi, small blisters, etc.) Main ingredients: Palm oleate, glycerol, flavor, titanium dioxide, calcium carbonate. sulfur powder, sodium oxide, shea butter and so on Warning: Avoid contacting eyes, if contact by mistake, use plenty of water to wash your eyes immediately. HOW TO USE? Step 1:Wet the soap then daub on your hands, face, and other parts. Step 2:use fingertips massage for 3-5 minutes, then wash them off with clean water NET Weight: 15g For the first time:refreshing and comfortable to relieve skin itching and other symptoms Use three days:the effect of early removal of skin fungi Use one tube:the number of itching to reduce the skin problems have been effectively improved Use two tubes:hand,foot and ringworm,psoriasis,eczema and other symptoms have been effectively improved Use three tubes:Farewell to skin problems stick to use to prevent bacteria from breeding again To prevent recurrence :Daily bath with Yiganerjing sulfur soap can effectively prevent skin diseases, such as psoriasis and eczema.